Which Metro Stations Have Incited Developer Bidding Wars? Real estate owned by Metro continues to attract a crowd. The transit agency this month received seven bids from developers interested in building projects on Metro-owned parking lots, bus bays and other properties around three of its stations. In November, Metro began a search for companies interested in building on properties the transit agency owns at five stations: Brookland, Navy Yard, Fort Totten, Grosvenor-Strathmore and Morgan Boulevard.Metro’s real estate unit extended the deadline for the Brookland project, but received bids for three others and is beginning to evaluate them, according to Stanley Wall, Metro director of real estate and station planning. Another site, an air-conditioning facility by the Navy Yard Metro station, is near Nationals Park. It also attracted three proposals from Akridge, Trammell Crow Co. and a team of MRP and a partner, CAS Riegler Cos, according to Wall. Metro has suggested that developers try to acquire private property next door, which would make the air-conditioning property more valuable. The largest property, a 37-acre parcel at the Morgan Boulevard station, received one proposal from Trammell Crow. Metro is requiring that any project here replace 608 parking spaces as well as provide another 372 spaces that are currently located at the Capitol Heights station, a requirement that could be expensive. 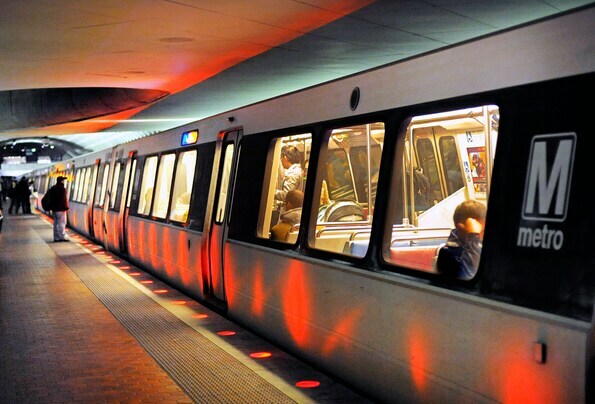 For all the stations, Metro requires that its existing facilities be replaced after development, usually by moving parking spaces or bus bays underground or into structured parking garages. At another station, Fort Totten, the cost of replacing Metro’s facilities was so great — likely running $10 million to 15 million — that no developers responded. Metro required a minimum of 422 parking spaces, either underground or in a garage. Wall said the idea to develop at Fort Totten would be set aside until the market improves to the point where there is more interest. “The biggest issue is the size and scope of our facilities there versus the development potential,” he said. He also cautioned that just because the agency received interest in the other stations didn’t mean those projects would get built. Any deal for the properties must be approved by Metro’s board of directors. “Just because we received one development proposal for Morgan Boulevard, for instance, doesn’t mean we’ll move forward,” Wall said. ← Can You Guess This Ladder’s Fate?